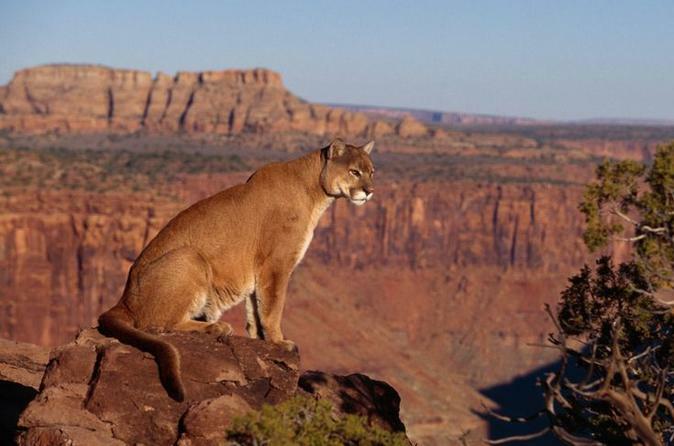 ** LISTED RATE IS PER GROUP** This custom private tour will take your group of up to five to selected wildlife adventure venues in Phoenix and throughout Arizona. You will have an expert professional wildlife guide that will accompany your group through the venues. The length of the day is completely up to you, up to 12 hours total. We can discuss at booking which venues that we could visit during your time window. Options include but are not limited to Out of Africa Wildlife Park, Bearizona, OdySea Aquarium, World WIldlife Zoo and Aquarium, the Arizona - Sonoran Desert Museum, Reid Park Zoo and the Phoenix Zoo. In a typical full day, we could visit 2 to 3 of these venues. Your group will experience the venues in a way that is very memorable, as you will have a private guide with expert knowledge of the animals and venues. This full-day adventure will begin in the Metro Phoenix area. Pickup at many local area hotels is included by Chrysler Town and Country vans for a comfortable experience. Upon booking, we will work with you to plan the day, including length of tour, route and which wildlife venues you would most like to visit. Each of these venues is best done with a certain amount of time available, usually 3 hours each. Some of the venues are in the Phoenix area, and some require a drive into other areas. If out of area, we can add scenic drives through places such as Sedona to the north and the Saguaro National Park to the south. Your expert guide will take you to the venues, and guide you through the parks, making sure you get the best experience possible in the time available. As each of these tours is custom planned, admissions to the venues are not included and paid by the group at the venues. Guide admission is included in the tour rate. We provide bottled water. Meals are not included. Dining options can be discussed at confirmation. Most all of the venues have some sort of cafe or full restaurant.